CipherLab Connection | Nov 2018 - CipherLab Co., Ltd.
around the world. 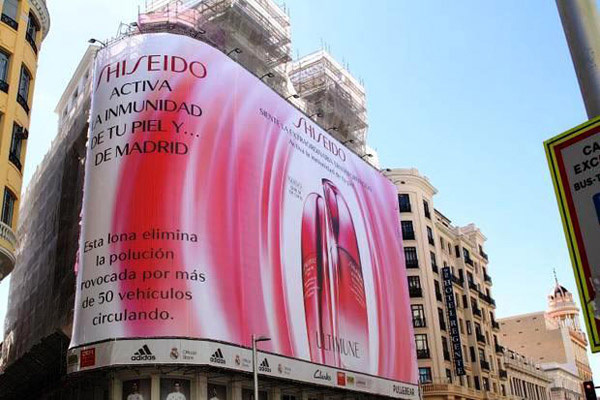 The Shiseido Group’s sales amounts to roughly 9 billion USD annually. Its subsidiary in France is the main production and Research & Development center that stores recipes for perfumes, manufacturing processes for face and body-care products, bases for cosmetics and other lipsticks--all of which are strictly confidential and carefully guarded. Shiseido France has two sites in the cities of Gien and Ormes containing large storage facilities (21,000 sqm and 18,000 sqm respectively) that house equipment including mixers, maceration tanks, analytical chemistry and microbiology laboratories, packaging lines, manufacturing reactors and pilot equipment. A wide variety of data and quality control operations are carried out every day; however, a key issue that Shiseido is currently facing is that they would like to convert their WMS to new SAP EWM (Extended Warehouse Management). The CipherLab 9700 Series is compatible with Velocity Web, which allows it to efficiently interface with SAP EWM in real time. Plus, our partner offers professional support in system integration and process of transition, so Shiseido is very satisfied with the 9700 Series' overall performance in the stages of function testing and trial deployment. It also performs well in other functions, such as scanning, connectivity, and ruggedness. The 9700 Series can therefore successfully replace older terminal models like the Psion Teklogix and become the new companion for workers who are constantly dealing with vast amounts of data. Organizations such as cooperative associations are popular in greater Texas in the US. These associations are founded with the aim to provide professional and commercial supports to its members with various industries. They will leverage all of their resources to help members of the association to improve on buying, promotional programs, training, and more at all levels. Placing orders from associated warehouses to get lower prices is one of the advantages. Normally, members can take advantage of the devices they are familiar with, such as, smartphones, to place orders. However, providing a business purpose mobile device which contains all the functions members need to help them to be more efficient in the process might be a great help. Thanks to the close connection between our partner and the end user that bring thorough understanding of the demands so that the best solution was therefore provided. A Houston based convenience store, cooperative with nearly 30% of the stores in that area as its members, picked the CipherLab RS30 series. The RS30 series equipped with Android OS system, provides a similar look and user experience to most commercial smartphones. Also, the cellular and Wi-Fi capabilities makes it easy for order transmission. The built-in scanner offers efficient and faster scanning performance which makes the ordering process shorter. Additionally, the RS30 comes pre-configured with the cooperative’s ordering Applications. Members can get started with the device with ease. With all these features and functions, the CipherLab RS30 touch mobile computer was selected as the designated device for its members’ choice. 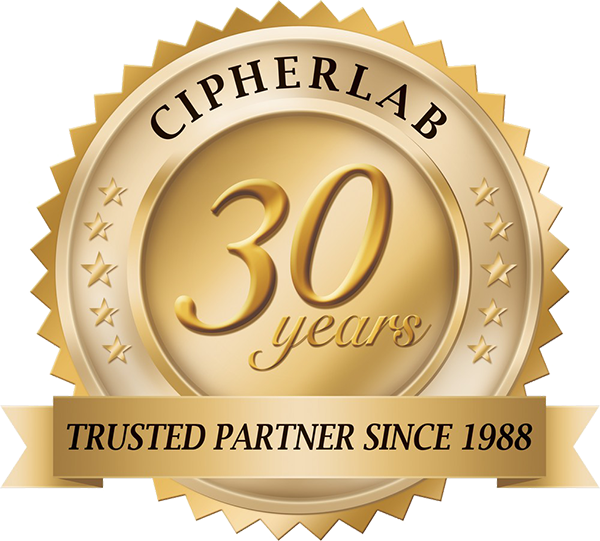 CipherLab continually aims to deliver best solutions to the market and we are pleased that the RS30 was chosen to be the order entry tool to improve efficiency. from food, non-food products, consumer goods, national brands and self-owned brands. CipherLab RS50 was brought to this supermarket chain in one country of east Europe to manage in-store and back-end warehouses as the old mobile computers were slow in performance and high defect rate. Major priorities for this supermarket chain were to ensure the new solution would be easy to use, can greatly improve efficiency and comes with rugged design. After investigating a number of mobile computers, CipherLab RS50 was selected as the preferred option because of its qualified performance, power efficiency and rugged design. RS50 utilizes a smartphone interface, which makes it easy to use by any staff familiar with modern smartphones. The built-in scanner is capable of handling 1D and 2D barcodes, which makes it ideal for retail environments where different types of barcodes are regularly encountered. Rugged construction is also a great advantage – retail doesn’t provide a harsh environment like factories, however, rugged mobile solution is required to withstand occasional drops by staffs. 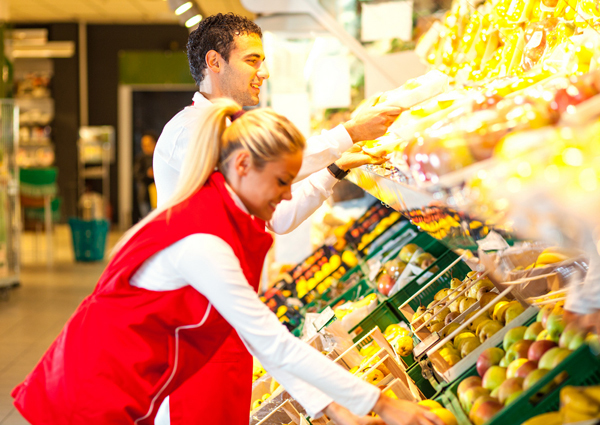 CipherLab RS50 is introduced for in-store operation tasks such as price checking, customer assistance, staff communication and inventory checking. It is also used for the warehouse processes: inbound goods, stock counts, stock movement, picking and replenishment. The IT managers also use CipherLab Mobile Deployment Suite including WMDS and BarcodetoSetting to configure and update the settings of each RS50 device. This utility saves costs from purchasing extra mobile device management software and enhances IT’s working efficiency. With CipherLab RS50, supermarket chain has a powerful and easy-to-use device in the hands of the staff around the country. 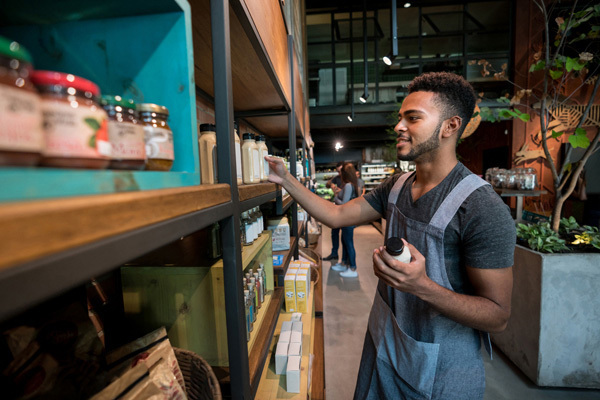 The RS50 has boosted staff productivity, allowing staff to complete tasks at a much faster rate from the sales floors or back of the stores. CipherLab is pleased to announce that the RS50 series rugged Android touch computer is now providing the vehicle cradle accessory option. Together with the original charging and communication cradle, 4-slot battery charger, pistol grip, and USB snap-on cradle, the choice of vehicle cradle further completes the suite of accessories. These accessories bring users ease of use and management. 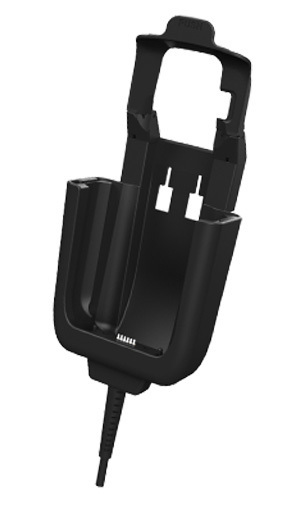 Users now not only can charge mobile device indoors but also out in the field or on the road. RS50 series, which is equipped with enterprise functionality and mobility, is designed to provide smarter and more efficient operation for business’ every-day needs. user behaviors in both trendy touch computer and conventional physical keystroke operations. 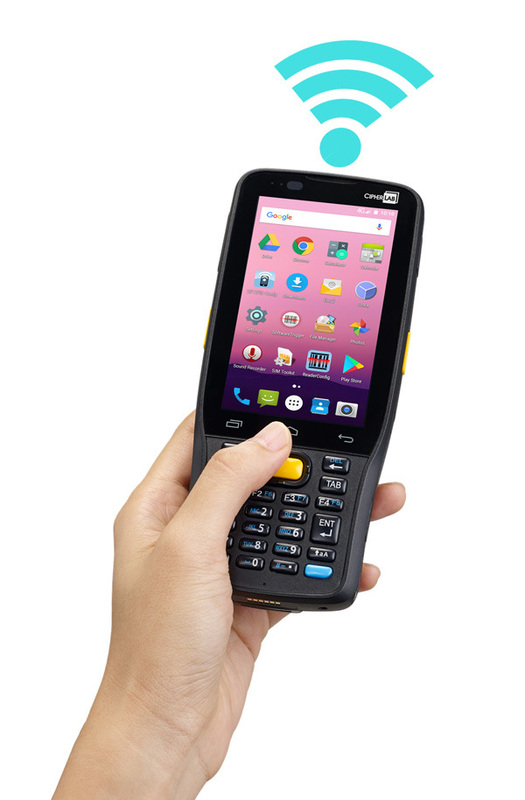 With a multi-touch 4” display and 2 numeric keypad options, the RK25 represents an excellent choice to simultaneously meet the demands of smartphone-like usability and keypad punching behaviors. The benefits include speed, accuracy, durability, and customization that meet user’s needs in environments that require big volume data collection and entry. 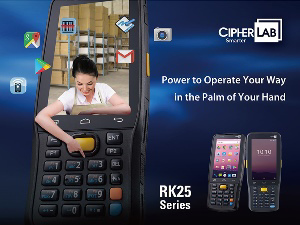 To allow user to conduct and simplify complicated jobs, the RK25 is also equipped with up-to-date capabilities in data processing and transmission through the latest quad-core 1.4 GHz CPU, 4G/ LTE, and IEEE802.11 ac dual band. Moreover, its Android 7.0 with GMS certification, data capturing in 1D/2D barcodes, and NFC support further meet enterprise security standards and requirements to adopt as a business tool. While the RK25 is guarded by IP65 and 1.5 m drop resistance, the RK25 is also equipped with comprehensive and complementary software and accessories. Your business can extend and enjoy optimized productivity throughout the day without any hindrance. computers can make required settings to ensure the stable and continuous internet connection. Find “Wi-Fi Setting” under All Apps by tapping Setting and then Wi-Fi. Users can select a network to connect or manually join a network by entering the required information such as network name. Then, select correspondent security method with entering the required password. Regarding to having stable Wi-Fi connection, setting of roaming is critical. Under “Roaming Enable”, users can select whether to enable Wi-Fi roaming and also adjust the signal strength when triggering Wi-Fi roaming under “Roaming Trigger”. According to users’ needs, additional and customized settings can also be made to bring more convenience and efficiency, such as enabling “Keep Wi-Fi on During Sleep” to make sure connection is on all the time. Secure wireless network can also be established by setting up WPS (Wi-Fi Protected Setup). Pickup your mobile computer to explore more. We participated in the 2018 Huawei Developer Challenge held during the Huawei Connect 2018 with the theme of "Dream Big, Fly High" bringing the new ideas and innovative solutions to the key technology to fulfill industry demands. 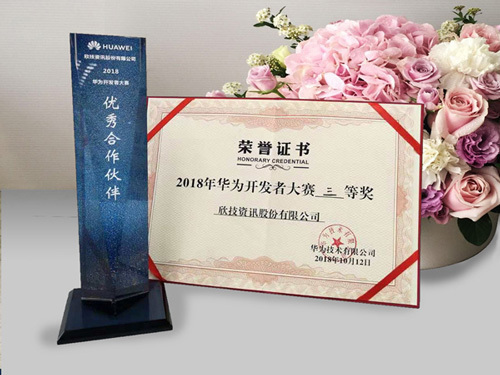 After four months of competition, we showcased the CP60 seriesat the port application (pick-up and delivery) and very honored to receive the third prize in the Industry Wireless Network catergory. It was a very successful experience for our team to participated in this challenge and we shall take more challenges in the future. We were very glad to receive Mr. Manop Sornviboonsak with Thailand Post at our head office on November 13. Along the trip, Mr. Manop Sornviboonsak and the group also met the senior management of Taiwan Chunghwa Post to visit postal facilities and operations. Recently we just delivered orders of RS50 with our Thai partner, OGA, to Thailand Post for deployment nationwide. CipherLab USA participated in CDW Canada Coworkers Summit in Toronto on November 3rd with BlueStar to showcase a series of CipheLab Android mobile computer collections. CipherLab USA demonstrated CipherLab mobile solutions is BlueStar Innovative Solutions Tour in Top Golf in Dallas on November 8th. CipherLab enjoyed networking with trade leaders and talked about future trend o AIDC solutions at this expo. CipherLab was a part of the LOGISTICS & DISTRIBUTION in Madrid from Nov 12th to 13th. The RK25 impressed visitors by its data capture performance of SR reader when reading QR code on the wall. Our staff talked to retail leaders and people from government of Spain about how CipherLab smart solutions can help them. MPLUS Technology, a subsidiary company of CipherLab, which focuses on providing Self Service POS solution and Mobile POS solution showcased its latest innovative Self Service POS Solution – KRC 101 at 2018 Taiwan Int’l Food Industry Show from November 16th to 19th. KRC101 integrates the function of self-service and auto payment with support to different mobile payment options such as Easy Card、Visa payWave、LINE Pay、Google Pay、Apple Pay、FeliCa, etc. Aside from restaurant, KRC101 is also a suitable solution for cafeteria in the organizations such as school, enterprise or government.